Lady Raider Alexis Adair defends a shot by Lady Panther Tailor Brewer in the first half. 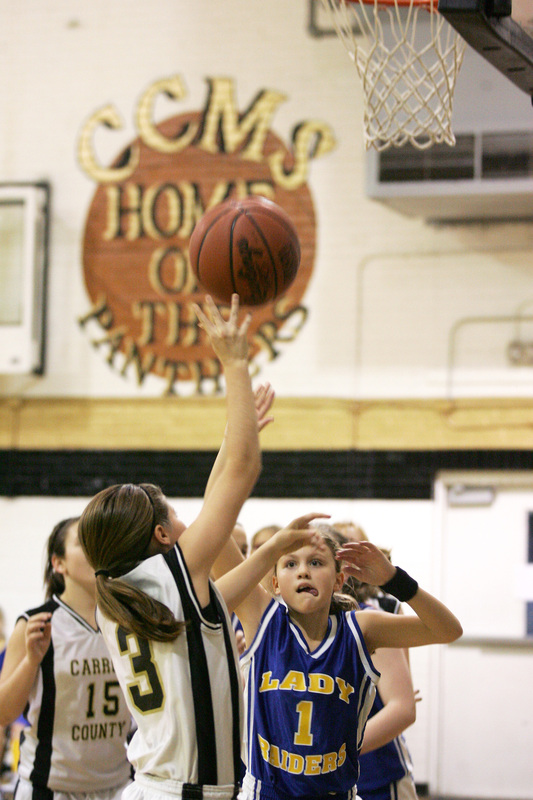 Lady Raider Johna Howdyshell fights for a rebound in the first half. 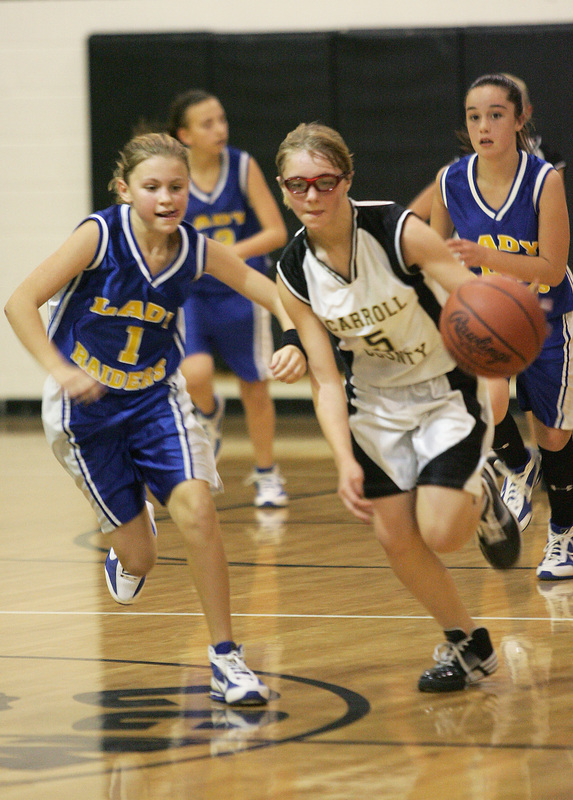 Michaela Roberts drives the lane against the Trimble defense in the first half. Lady Panther Kirsten Arvin leads the fast-break in the first half.